January 18 Performance: Bobby Sanabria’s Grammy-nominated “Multiverse” Big Band performs Eugene Marlow’s bembé arrangement of “Maria” as part of the ensemble’s 2018 Latin-Jazz Grammy nominated “West Side Story Reimagined” set at the Kennedy Center for the Performing Arts. The album is available on the Jazzheads label (2018). January 30 Dr. Marlow begins his third semester hosting “Jazz: America’s Classical Music” on Radio WBMB-FM (Baruch College Radio), every Wednesday from 4:30-5:30 p.m. The show’s signature tune is “Taylored for Billy,” an original composition by Dr. Marlow recorded by The Michael Abene Quintet on “A Summer Afternoon with You” album (MEII Enterpises 2005). February 2-8 Book Interview: Dr. Eugene Marlow is interviewed about his Jazz in China book by renowned stride pianist/singer/author Judy Carmichael on NPR’s “Judy Carmichael’s Jazz Inspired.” The hour-long show can be heard on Sirius/XM (Channel 122) and over 170 NPR radio stations around the United States. http://www.jazzinspired.com/browse-shows/eugene-marlow?rq=eugene%20marlow. February 10 Grammy winners announced. Bobby Sanabria’s “West Side Story Reimagined” has been nominated in the Latin Jazz Category. Eugene Marlow contributed a bembé arrangement of “Maria” from the famed Broadway show to the double album released in July 2018 on the JazzHeads label. February 12 Performance: Four of Dr. Marlow’s classical compositions–“Three Fugues and A Bolero”–performed by renowned organist Claudia Dumschat at the Little Church Around The Corner, 1 East 29th Street, New York City, as part of a concert of original music for organ mounted by the New York Composers Circle. 7:30 p.m. Suggested contribution: $20. February 14 Performance: Eugene Marlow’s Heritage Ensemble performs at the Horace Mann School (Riverdale, Bronx) as part of the school’s Music Week. February 23 Composer/Arranger Dr. Eugene Marlow attends the Dance/NYC Conference at Hunter College (New York City). Marlow has composed and arranged music for numerous dance companies. March 1 AWARD: MEII Enterprises forthcoming album “Blue In Green” receives a Silver Medal Award for Outstanding Achievement from the Global Music Awards. March 10 CD Digital Release: “Aspetta Ancora Qualque Minuti” (Wait A Few More Minutes) performed by the Italian ensemble “Trio Namaste.” In the United States March 10 is Daylight Savings Time. There are some people in some places who would prefer to leave well enough alone, hence the single track title. March 25 Composer/arranger/producer Eugene Marlow participates in the Choreographer/Composer Exchange organized by Periapsis and hosted by the New York University Tisch Department of Dance. March 29 Radio Play: Bobby Sanabria, host of WBGO’s “The Latin Jazz Cruise,” spins Eugene Marlow’s Latinized arrangement of “Hatikva” from his 2011 “Fresh Take” album (MEII Enterprises). Recorded by Marlow’s Heritage Ensemble. March 31 Radio Play: Pianist Nada, host of “The Classical Hour” on WCHQ 100.9 FM, spins selections from Eugene Marlow’s forthcoming “Blue In Green” album (MEII Enterprises). 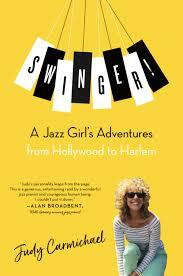 The album includes 10 original jazz compositions inspired by the jazz poems of renowned poet Grace Schulman. 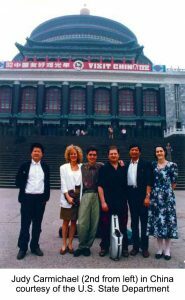 April 1 Publication: Dr. Eugene Marlow is invited to contribute a major article on “Jazz in China” to the Bloomsbury Encyclopedia of Popular Music of the World. April 10 MEII Enterprises CD Digital Release: In Their Own Voice, Vol. VIII: “Lullaby” (for Madeline). April 16 Award Nomination: Dr. Eugene Marlow’s book Jazz in China (August 2018) has been nominated by the Jazz Journalists Association for its annual “Best Jazz Book 2018 ” award. The winner will be announced on May 1. April 30 MEII Enterprises CD Release: “Blue In Green: Inspired by the Jazz Poems of Grace Schulman,” a 20-track album consisting of 10 jazz poems by 2016 Robert Frost awardee Grace Schulman and 10 original compositions by Eugene Marlow performed by 18 various jazz artists, including members of Eugene Marlow’s Heritage Ensemble. May 15 Performance: The Heritage Ensemble (duo) performs for the Baruch College Students Awards Ceremony. May 15 The Third Annual “Eugene Marlow Prize in Arts Leadership” is presented at the Baruch College Students Awards Ceremony. May 27 CD Digital Release: “Resolution” an original piece for big band in honor of Memorial Day. May 30 Talk: Dr. Eugene Marlow gives a talk entitled “Jazz in China: The Book, The Documentary, The Author’s Journey” at the Pitkin County Library, Aspen Colorado. Doors open at 6 p.m.
June 6 “Blue In Green: Original Compositions by Eugene Marlow Inspired by the Jazz Poems of Grace Schulman” selected to be part of the National Audio Theatre Festivals Playhouse’s 2019 PODCAST PALOOZA at the 2019 HEAR Now Festival. The Festival’s podcast pages opens the day of the Festival, June 6, 2019, and runs through August 1, 2019. June 9 CD Digital Release: MEII Enterprises releases “The Afro-Caribbean Rhythmic Artistry of Bobby Sanabria and Matthew Gonzalez” in honor of National Puerto Rico Day Parade in New York City. June 10-24 Dr. Eugene Marlow attends the 2nd Annual Mostly Modern Festival at Skidmore College (Saratoga Springs) as a Composer Fellow. June 14 Performance/Premiere: The American Modern Ensemble premieres Eugene Marlow’s “Quirky”–a piece for violin, flute, clarinet, piano, marimba, and percussion–at the 2nd Annual Mostly Modern Festival, Skidmore College, Saratoga Springs, New York. 7:30. June 22 Talk: Dr. Eugene Marlow gives a talk on “Why Knowing What Your Net Worth Is Can Enhance Your Music Career” at the 2nd Annual Mostly Modern Festival at Skidmore College (Saratoga Springs, New York). 2:30-4 p.m.
June 30 CD Digital Release: MEII Enterprises artist Pianist Nada releases a reading–with numerous piano performance examples–of her “Brahmsian Piano Technique” essay (published in International Piano). Go to www.cdbaby.com/artist/nada. July 12 Performance: The Heritage Ensemble (trio) provides live music for the Zicklin School of Business Executive MBA Program Graduation reception at the Pierre Hotel (New York City). August 26 Dr. Eugene Marlow begins his 63rd semester teaching courses in media and culture at Baruch College (City University of New York). September 2 CD Digital Release: “The Caverns at Carlsbad”: nine miniatures for trombone quartet. September 4 Eugene Marlow begins his fourth semester hosting “Jazz: America’s Classical Music,” a one-hour weekly program on WBMB-FM (Baruch College Radio). November 29 CD Release: “Lotus Blossom: Billy Strayhorn and The Michael Hashim Quartet” coincident with Strayhorn’s 104th birthday. December 12 Performance: Eugene Marlow’s Heritage Ensemble (duo) performs for the Baruch College Department of English Wassail. January 27 Dr. Eugene Marlow begins his 64th semester teaching courses in media and culture at Baruch College (City University of New York). will be added to the schedule. 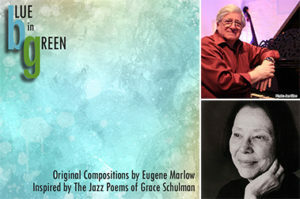 “Blue In Green: Original Compositions by Eugene Marlow Inspired by the Jazz Poems of Grace Schulman”—a collaborative album of 10 poetry tracks by world-renowned, award-winning poet Grace Schulman and 10 original jazz compositions by award-winning composer/arranger Eugene Marlow—will be released on April 30, 2019, International Jazz Day. April is also both Jazz Appreciation Month (JAM) and Poetry Appreciation Month. Dr. Grace Schulman, a Distinguished Professor of English at Baruch College (City University of New York) —who contributed and recorded the jazz poems on this album—will be inducted in the American Academy of Arts and Letters on May 22, 2019. She is also the 2016 Robert Frost awardee from the Poetry Society of America. “Blue In Green” has been selected to be part of National Audio Theatre Festivals (NATF) Playhouse’s 2019 PODCAST PALOOZA at the 2019 HEAR Now Festival. The Festival’s podcast pages opens the day of the Festival, June 6, 2019, and runs through August 1, 2019. 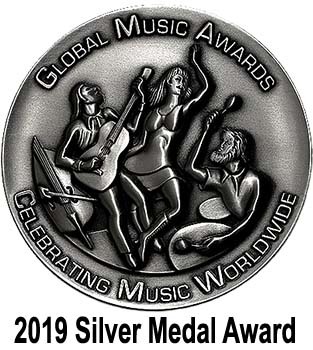 “Blue In Green” is also a March 2019 recipient of a Silver Medal Award from the Global Music Awards. Numerous jazz musicians are referenced in Schulman’s poems, including: Art Tatum, John Coltrane, Miles Davis, Billie Holiday, Bill Evans, and Thelonious Monk, as well as classical violinist Itzhak Perlman and Danish author Chris Albertson. Marlow’s challenge was to create compositions that reflected—in whole or in part—the content or tone of each of Schulman’s 10 jazz poems. “Blue In Green” will be available on cdbaby.com April 30, 2019. Advance copies of the CD can be purchased for $15 + S&H by contacting Eugene Marlow at meiienterprises@aol.com. Use code word “BING” in the subject line. There are two reasons why I am focused on Veterans Day. The first is the Vietnam War. I graduated with a bachelor’s degree in English from what is now known as Herbert Lehman College in the Bronx, NY in 1966. Two weeks later I received a draft letter from the United States Army. This led to one of the most important decisions of my young life. 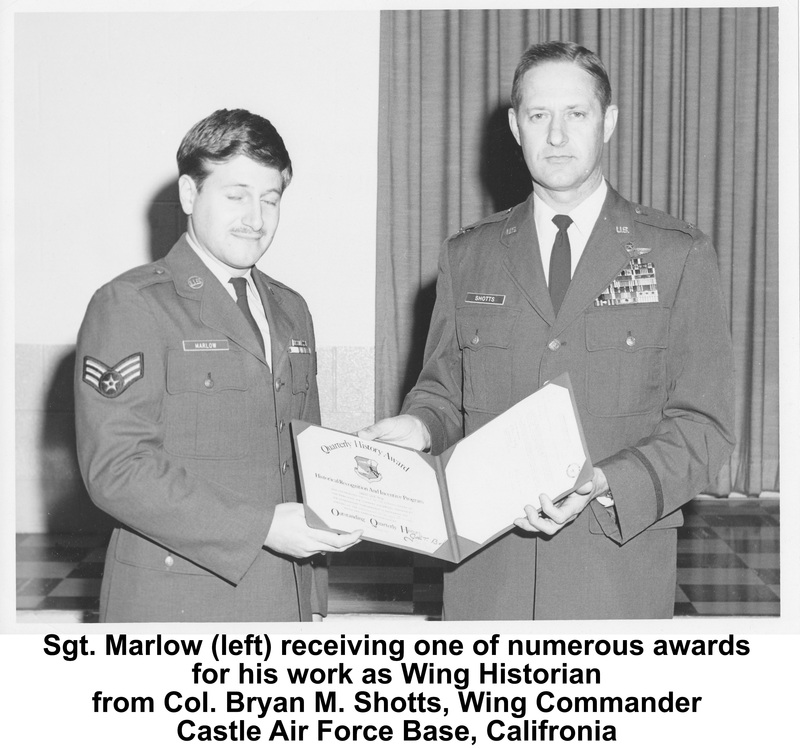 Instead of being drafted into the Army, I decided to voluntarily join the United States Air Force in June 1966. It meant four years of my life, rather than two, but I perceived I would have more control over my life in an Air Force uniform than in the Army. I was right as it turned out. This decision leads to the second reason: The Servicemen’s Readjustment Act of 1944, also known as the G.I. Bill—signed into law by Franklin D. Roosevelt—a law that provided a range of benefits for returning World War II veterans (commonly referred to as G.I.s). The bill has been updated several times by the United States Congress and is still providing benefits to ex-servicemen and women. As a direct result of this bill, FDR, and the Vietnam War I was able to complete an MBA for almost no expense, and then several years later a Ph.D. for almost no expense. That Ph.D., plus extensive experience in print and electronic media helped me land a position as a professor in the then journalism program at Baruch College, CUNY. This position further gave me the opportunity to garner two more degrees: in music composition. I have now completed 30 years of teaching courses in media and culture at Baruch College. In effect, a man by the name of FDR, together with the GI Bill of 1944—a year after I was born—plus the advent of the Vietnam War and the attendant draft had a direct impact on my personal and professional life over several decades that I could not have imagined when I was in high school or starting an academic pursuit in 1961. I’d like to point to another unintended consequence that is directly related to the draft. The nation’s first military draft began in 1940, when President Roosevelt signed the Selective Training and Service Act. The draft continued through war and peacetime until 1973. More than 10 million men entered military service through the Selective Service System during World War II alone. 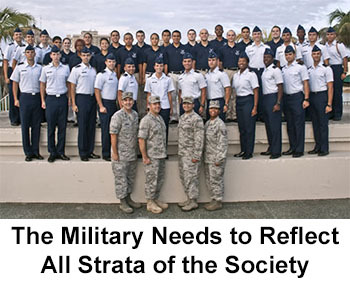 One of the consequences of the draft and military service is that it creates a universal and immediate bond among those men and women who serve and have served in the military, regardless of branch of service. Whether in wartime or peace time, whether in combat or behind the lines, so to speak, putting on a uniform immediately creates a universal experience that can be shared with those who have also worn a uniform. This shared experience cannot be easily explained or even described to those who have never worn a uniform. 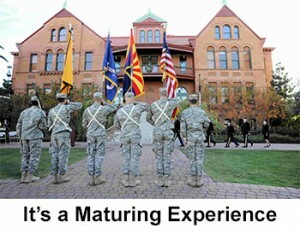 And even though in today’s time the expression “Thank you for your service” is much more in vogue and prevalent than when I returned from active military service in 1970, when I hear it from someone who is too young to understand, it does not have the ring of authenticity in the saying of it. In my opinion, the end of the active military draft in 1973 has resulted in the unintended consequence of at least two generations of Americans who do not share the universal military experience. And it is the absence of this shared experience that has contributed and does contribute to the economic and social divide in the United States. As the most recent national election showed the United States of America is not united: it is two countries. One country on the east and west coasts, together with a smattering of states in the north Midwest, and the rest of the country, essentially the middle of the country—those sections of the country that either don’t directly experience the influx of immigrants from all over the world or are perceptually threatened by so-called illegal immigrants taking away job from those who are already here. Campaign rhetoric to the contrary, it’s been a while since this country was a manufacturing dominant country; this is primarily a service-oriented economy requiring higher levels of education and inter-personal and technical skills. During the draft, young men from many walks of life, from different parts of the country, with varying levels of education, with a spread of ethnic backgrounds came together for basic training, further training, and living, working, and fighting together. It was a melting pot environment and surviving it, dealing with it, and profiting from the experience was an opportunity for personal and professional growth. Further, in the 2001 book The Millionaire Mind by Dr. Thomas J. Stanley, among the many lessons presented there I was struck time and time again by how many of the multimillionaires described in the book had military experience. It came up as part of their backgrounds over and over again. The Selective Service is actually in force today and men up to the age of 30 are required to register with it, but it is not an active draft. The question is: should it be? There are many reasons for and against. But I think there is a strong argument to be made for this country to institute some kind of national service, whether military or not. I perceive this kind of service would re-kindle the experiential homogeneity brought home by the GIs after WWII, and more recently the regional conflicts in the Middle East. Over 70 countries out of 196 countries in the world have some kind of mandatory military or national service. Perhaps we should take their lead. 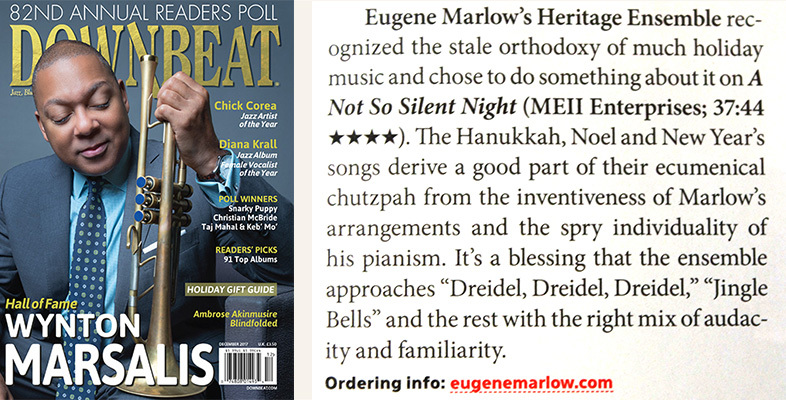 Eugene Marlow’s Heritage Ensemble’s “A Not So Silent Night” album (2016) has earned four stars in the December 2017 issue of Downbeat Magazine. It’s featured in Frank-John Hadley’s “Stellar Stocking Stuffers” article, p. 87. 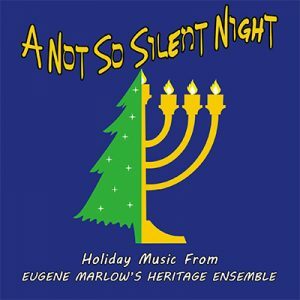 “A Not So Silent Night” is the eighth album from The Heritage Ensemble featuring multi-Grammy nominated drummer Bobby Sanabria, saxophonist Michael Hashim, bassist Frank Wagner, percussionist Matthew Gonzalez, and Leader/pianist Eugene Marlow.